Should I Buy a DC34 or DC58? 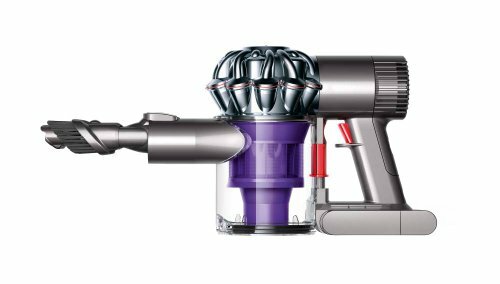 Are you interested in purchasing either the DC34 or DC58 Dyson handheld vacuum cleaner but are unsure as to which one to go for? And whether the DC58 is worth the significant price jump between the two? If so, you have come to the right place -- a comparison guide that highlights both the differences & commonalities within specifications & features across the DC34 and DC58 models. In all, determining which cleaning machine is best suited to your specific cleaning needs & preferences. 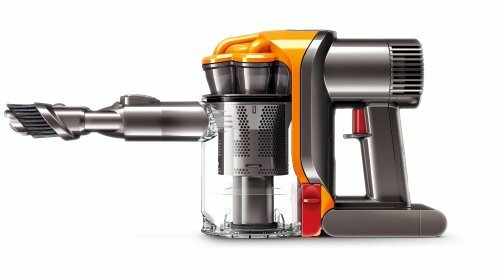 The DC34 & DC58 are both fitted with a dual power mode system - a 'standard' option & a 'boost' option where the DC34 produces 28 AW on standard & 60 AW on boost of constant suction and is installed with a Digital Motor V2 & 22.2 volt lithium-ion battery with fitted Root cyclone technology, in turn making it one of the most powerful handheld vacuums on the market. i) the Digital motor V6 has obviously undergone four major upgrades from that of the DC34's Digital Motor V2 & now possesses a 350 wattage, making it far more efficient & powerful. ii) A new re-configured cobalt manganese battery which executes more than 1.5 times the power of the DC34's 22.2 volt lithium ion battery -- allowing an air watt suction performance of around 90+ (similar to that of a corded DC24 upright vacuum). iii) The two-tier radial root cyclone technology is several advancements from that of the standard Root cyclone in the DC34 -- in turn it allows the DC58 to operate on a bagless mechanism & suffers with no loss of suction but the difference comes in the fact of its vastly superior pick-up rate of all particles (from microscopic dust as small as mi0.5 microns to large dirt chunks) from all surfaces (e.g. hard-wood, rugs etc.). In all, a far superior cleaning machine. In this aspect they are actually very similar given that they basically incorporate a similar modern & sleek design with them both being rather compact (Dimensions -- DC34: 20.5 x 11.6 x 32.2 cm & DC58: 20.8 x 14 x 39.5 cm) and featherweight with ergonomic weight distribution for ease of handling (DC34: 1.33 kg & DC58: 1.5 kg). Arguably, because the DC58 is slightly larger & heavier, the DC34 edges it in the mobility aspect, but not to any point of significance. Obviously as both are compact, you won't have any troubles with storage (e.g. it can be easily stored away in a cupboard etc.). However, with regards to battery life there is a signficant difference -- the DC58 can last up to 26 minutes on standard mode (due to the new non-trigger mechanism) and 6 minutes on boost mode whereas the DC34 only lasts for 15 minutes on standard mode & with the same 6 minutes on boost mode. Both take approximately 3 hours to fully charge from 'dead' to full power. Moreover, with the bin capacity -- they are both 0.35 litres with an integrated quick & simple hygienic 'one button press' bin emptying mechanism. They are also equipped with the same accessories i.e the combination tool (which is basically for powered dusting) and stair tool (which can also be used on furniture etc.). Moreover, if you get the Animal version of either model (i.e the DC34 Animal or DC58 Animal) you also receive a specialised pet hair cleaning attachment -- for the DC34 it is a 'mini motorised tool' & with the DC58 you get a more efficient & advanced 'mini motorised turbine' (which can also be used effectively on upholstery & removal of dug-in dirt in tight & small spaces). They are both backed by a two year warranty that covers them for both parts & labour. Moreover, they have an integrated filtration system that prevents allergens & dust from being expelled into the air whilst vacuuming and are hence safe to be used by asthmatics & allergy sufferers. Conclusion: Should You Buy a DC34 or DC58? It is clear the DC58 is best portable vacuum cleaner from the two -- however which one you choose will ultimately come down to which one you feel offers the best value & this depends on both your preferences/needs as well as their respective price tags. The difference in price will be around $100 (probably less) & to me the option of which one to go for is then clear -- the DC58 -- as it is practically a different cleaning machine to compared the DC34 (obviously it shares the same design & features) due to the sheer cleaning power it offers -- which will make any intricate cleaning jobs (e.g. cleaning the stairs or car) far quicker, much easier and actually quite fun as well as having a longer run time. Besides who doesn't want the biggest, baddest handheld vacuum cleaner around? 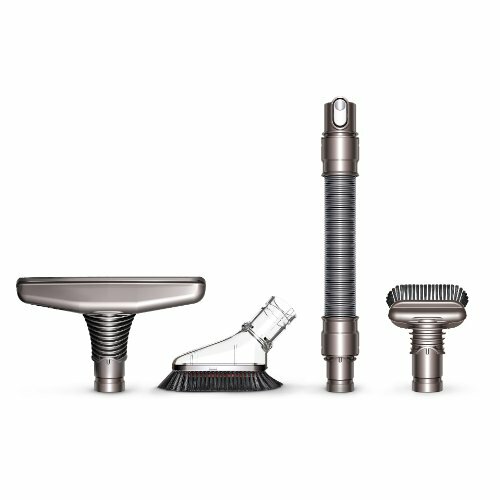 To improve the multi-functionality of your handheld yet further & more useful with a wide nozzle tool, soft dusting brush, extension nozzle & stubborn dirt brush. But please do let me know which model you choose & why? Also, if you have any comments, questions or concerns regarding either the comparison article 'DC34 Vs DC58' or about either model specifically (i.e the Dyson DC34 Multi-floor or DC58 Animal etc.) then please do not hesitate to make them in the comments section that you will find just below & we will be sure to get back to you as soon as possible.